a different sort of weight to the whole, the violin glitters, flatters and demands our attention. She makes the Violin become a voice, a wind, a space, a crystal ." Livet Nord is an esteemed freelance musician, producer, project manager, concert organizer and violin pedagogue based in Gothenburg, Sweden. Since 1996 she has worked as a musician in a variety of formations and projects and toured throughout the world. At MuKo she creates international cultural exchange projects between Sweden and other countries. 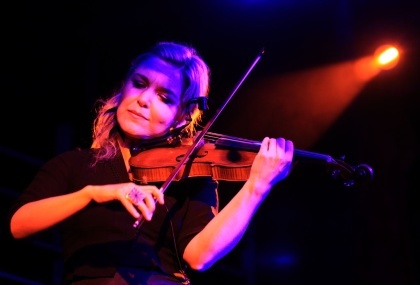 You will also find her playing the violin at over 40 phonograms and Livet also runns the record label Kakafon Records wich has released some of Swedens' most prominent artists and groups within Swedish folk/world music. More info, music and pictures can be found over the page tabs and drop-down menus! 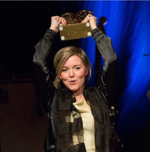 "Artist Of The Year" - Livet Nord At the Swedish Folk & World Music Gala at Berwaldhallen i Stockholm in 2015 Livet Nord recieved one of the finest awards, Artist Of The Year. Winter Retreat in Siljansnäs Jan 25th-27th! 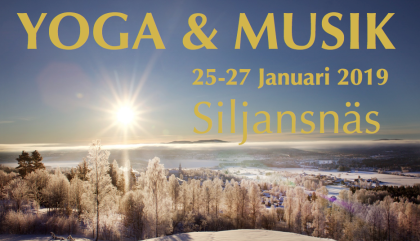 In January the second Yoga & Music Retreat will take place in the beautiful little village Siljansnäs (Dalecarlia, Sweden)! Welcome to practice Vinyasa Flow, HoliYoga/Voice and YinYoga, Friday to Sunday, in 6 classes. Two of them will be accompanied live by extraordinary musicians from world touring Nils Berg Cinemascope! They will also do an official live show Saturday night! The retreat will take place at the hotel in Siljansnäs were you can sleep, eat and practice yoga with a great view over an idyllic Swedish village with red little houses, mountains and lakes! Between the yoga classes you have some time to enjoy the beautiful surroundings. Maybe go skiing or why not visiting some genuine hand craft ateliers! The space can only host 20 participants! So hurry if you want to join this wonderful weekend retreat! November 1st Kaja´s first single "Tram No.9" was released! Composition by Livet Nord, guest musician Lise-Lotte Norelius on Percusion and Live Electronics. The new full length album ORIGO is to be released in February 2019!